Thea: The Awakening is a turned-based strategic survival game inspired by the Slavic mythology and set in a procedural dark fantasy world infused with non-linear story and unique combat system. Over-world movement takes place on a board game like map marked with hexagonal spaces that is procedurally generated at the start of each game. Items, story encounters, enemies and missions are also randomly generated in rogue-like fashion. Thea: The Awakening borrows elements from all of the aforementioned gaming archetypes and more. The player is charged with running a small village in the wake of a mysterious catastrophe. 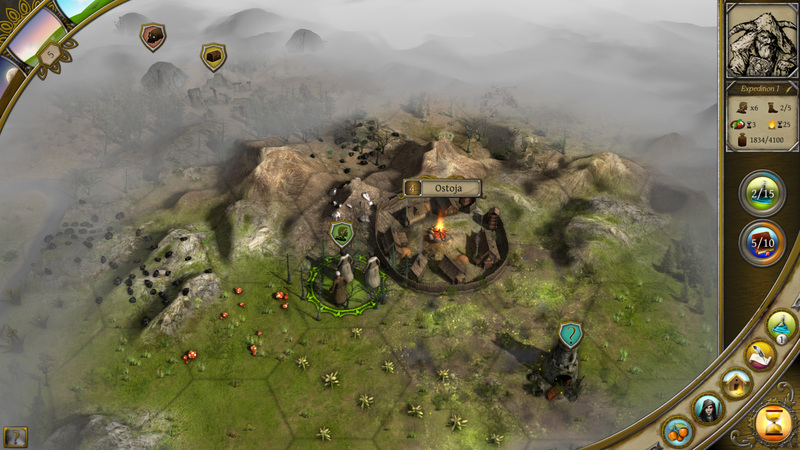 The strengths of a small group of villagers are leveraged to make the most of limit resources, and to gather more in order to craft items and make upgrades to the village. Small expedition parties are split off from the main group to explore the countryside surrounding in search of resources and usable items. As your journeys progress, you will encounter small multiple choice story segments that begin to unravel the mystery of the catastrophe that has blighted the world. Combat and other tactical situations also arise that are resolved through a unique mini-game that utilizes cards based on your villagers and their gear. There are also day and night sequences to deal with, the later upping the element of danger, especially to villagers away from the relative safety of the village. Death of villagers is permanent and can be a hard hit on your villages collective skill set, but can eventually be relaced when village children come of age or through other in game events. 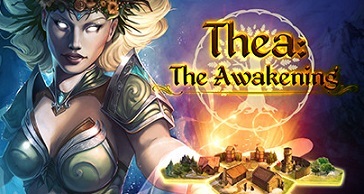 Thea: The Awakening is one of those surprise indie titles that seems to suddenly come out of nowhere and manages to successfully combine several game play genres into one unique experience. Review for the title on Steam have been very positive and the game is already garnering a large fan group who are generating a lot of content on YouTube around the game.